This is rather old news, but it’s worth mentioning. 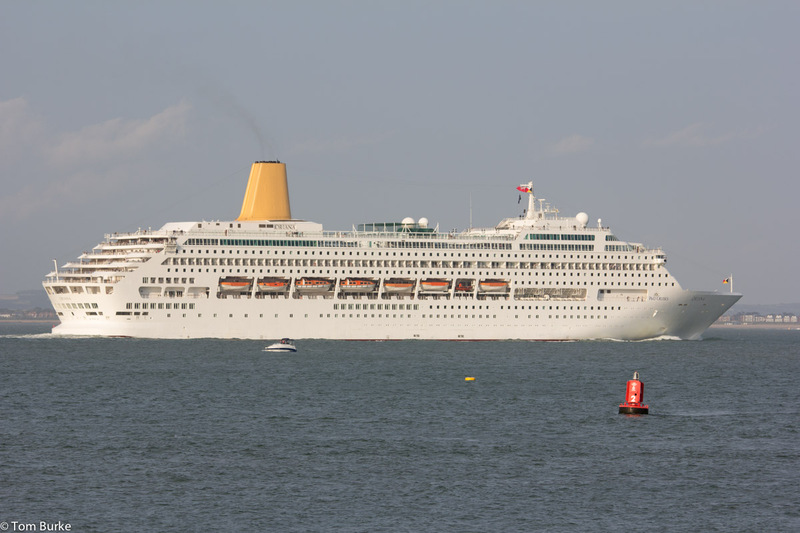 P&O’s Oriana will be arriving back in Southampton this afternoon, about two and a half days earlier than scheduled. She’s finishing a cruise to the Canary Islands which should have taken her until Saturday morning. However, she experienced problems with a propeller shaft seal which meant that her speed was reduced. Eventually the decision was taken to cut the cruise significantly short to allow sufficient time for repair work to be done in Southampton. She’s currently (07:40) at the western end of the English Channel, doing around 15 knots. a credit of 100% of the fare they paid for this cruise against a future cruise on Oriana either this year or next. Finally, I wonder if Oriana’s high-speed dash up the channel on 13/14 February to stay ahead of the storm caused the damage? I have read some casual comments from passengers on her at that time to the effect that the previous 24 hours has been ‘an exciting ride’.